Knowledge is power, and when it gets in the wrong hands it can be lethal. Alchemy and murder combine in a gripping race against time from the CWA award-winning author of The Seeker. 'One of the best writers of historical crime' The Times Aberdeen, 1631. University librarian Robert Sim takes receipt of a gift of books recently arrived from overseas, mysterious works on alchemy and hermetics - the pursuit of ancient knowledge. By nightfall he has been brutally murdered. His colleague and good friend Alexander Seaton is left with the task of hunting for clues as to his killer's motive, as well as locating the missing books. What did Sim discover in the package, and what makes these books so dangerous? 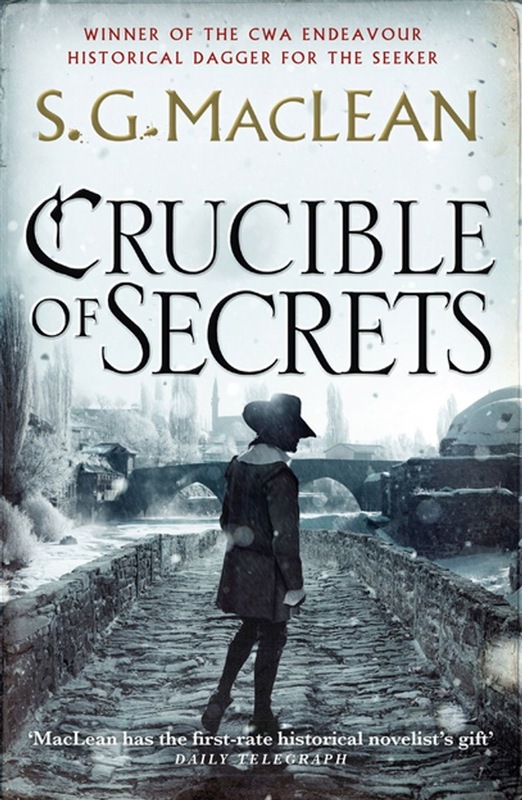 Acquista Crucible of Secrets in Epub: dopo aver letto l’ebook Crucible of Secrets di S.G. MacLean ti invitiamo a lasciarci una Recensione qui sotto: sarà utile agli utenti che non abbiano ancora letto questo libro e che vogliano avere delle opinioni altrui. L’opinione su di un libro è molto soggettiva e per questo leggere eventuali recensioni negative non ci dovrà frenare dall’acquisto, anzi dovrà spingerci ad acquistare il libro in fretta per poter dire la nostra ed eventualmente smentire quanto commentato da altri, contribuendo ad arricchire più possibile i commenti e dare sempre più spunti di confronto al pubblico online.